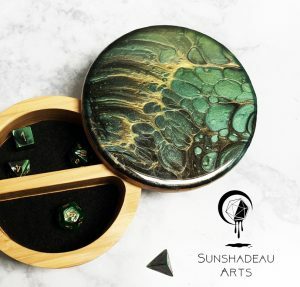 Give your high rollers pride of place with one-of-a-kind handmade Dice Thrones or store small trinkets in these stunning miniature dishes. 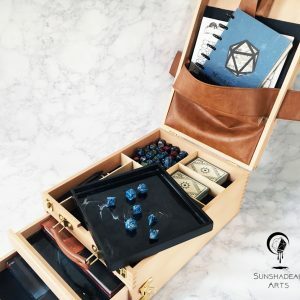 Bespoke gaming storage chests for holding all your gaming books, dice, and accessories. 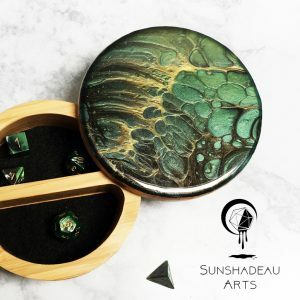 Join the Sunshadeau Arts Academy on Patreon! 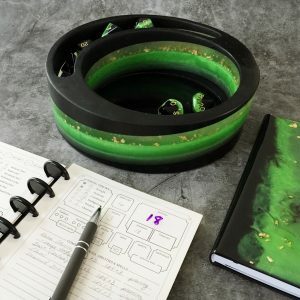 Be part of an exclusive community where you get behind-the-scenes sneak peeks into upcoming product lines and access to tutorial videos on how I make all of my products. 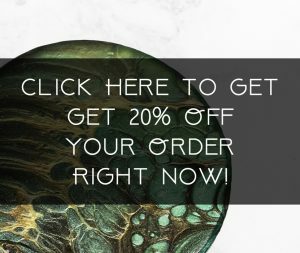 Shop our clearance section where fully functional items with minor cosmetic flaws are currently on sale for 40-75% off the regular price. 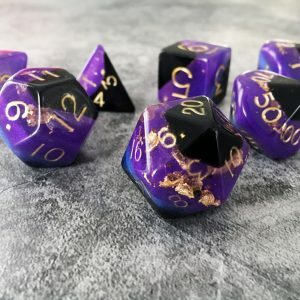 The sale features dice, trays, notebooks, and more! 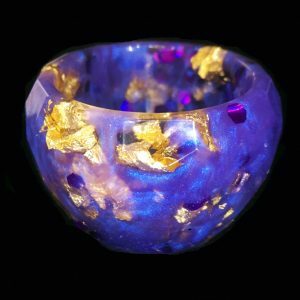 Handmade, one-of-a-kind Resin Dishes and Dice Thrones are for you. 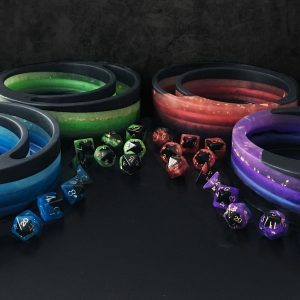 Use to store rings, jewelry, or your favorite high-rolling dice. 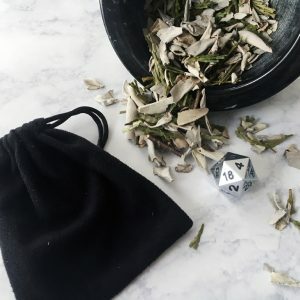 Looking for the perfect gaming storage chest? 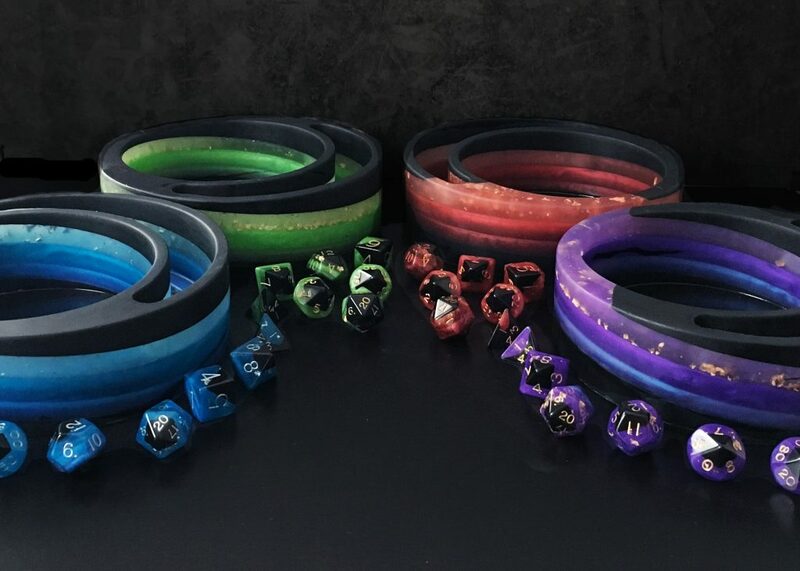 The Adventure Collection features bespoke gaming accessory storage chests for all your gaming needs. 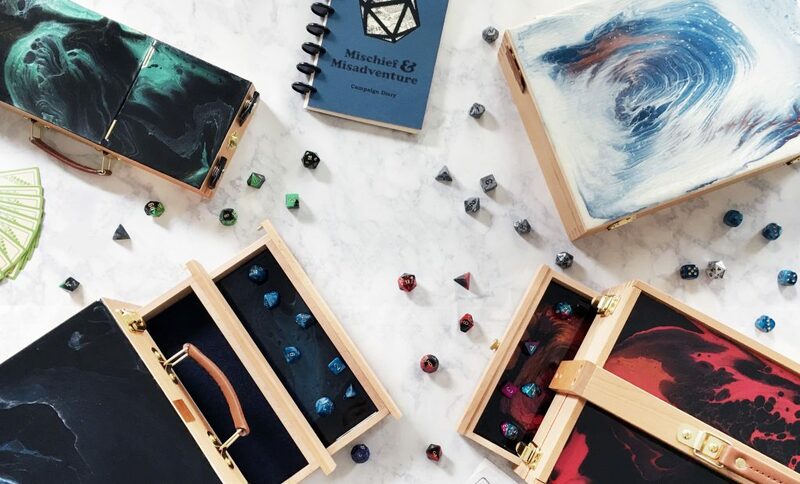 Easily store and carry gaming manuals, notebooks, character sheets, pens/pencils, dice, minis, card, and more in one convenient customized chest. All pieces from the Eco Collection are made with sustainable bamboo and recycled materials.